Today we had a fantastic class because we had a guest speaker! We welcomed Ricki Moran who was born and raised in Ireland. 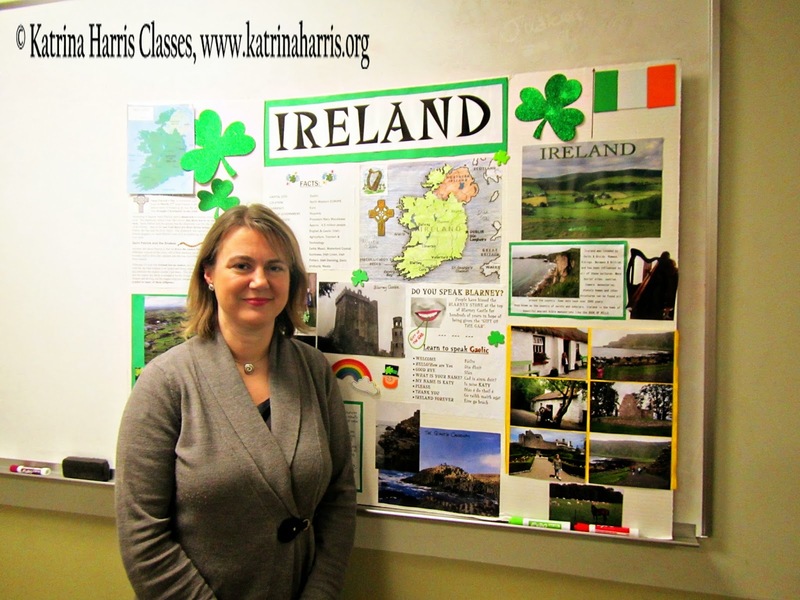 Mrs Moran talked to the class about Ireland - it's rich agricultural community - its focus on conservation - its long, rich history - about issues in Ireland between the Protestants and Catholics - and between England and Ireland. And then we capped it all off with having some Irish tea, cream crackers with cheese, Irish bread, and digestive biscuits. It was a fantastic talk and I think we all learned a lot! Then we continued a little bit with our chapter on Northwestern Europe - just covering the portion about France. 1. Be sure to write a thank you note to Mrs Moran! Remember to use a pen and write on some nice paper (not note book paper!) or stationery. Take your time and do a nice job with this. 2. Complete the questions on the handout about chapter 11 - including a current event. Be sure to bring the actual article used to class. 3. Bonus opportunity: next class is on Halloween. If you come to class dressed up -with a Geography theme from the unit we are working on - I will give you bonus points on the next test. You could wear a traditional costume. Or a costume related to legends, stories, dance, sports. Or perhaps even something flag related. Creativity counts!